Super Bright LED light running with Low Temperature. All the light spread and completely smooth, luminous very even. Water Resistant Neon light strip can use Indoor and Outdoor, Plug and Play without wiring, 24VDC Low Safe Voltage Powered. Perfect for your indoor or outdoor DIY rope light modeling or decoration. Flexible PVC Tubing, DIY many different shapes flexibly. Neon light strip can be shaped, formed or bent in any angle. 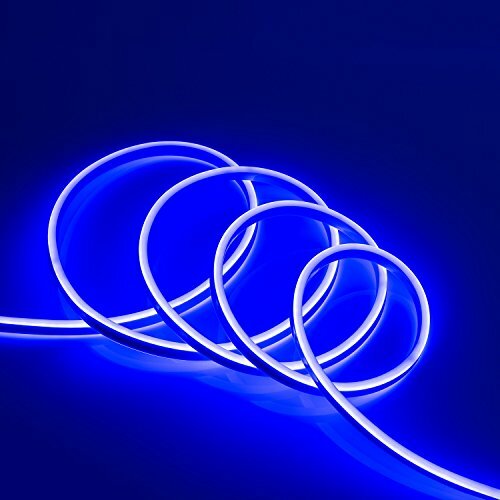 LED Neon flexible rope is durable with more than 60000 hours lifespan, more energy-efficient, very easy to install.